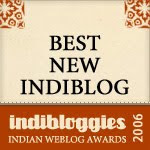 A for Abacus to Z for Zillion, 'G is for Googol' has all. The book introduces fascinating mathematical concepts in an interesting and palatable manner. The Supreme teacher - nature seems to be an eternal lover of Math; It is surprising how Fibonacci numbers show up so much in nature! The number of petals in a flower is usually a Fibonacci number. Fibonacci numbers could also be called 'sunflower numbers', 'artichoke numbers' or 'pineapple numbers' because sunflower's seeds, artichoke's leaves and pineapple scales all spiral according to this series of numbers. Amazing, isn't it!!! Who can ignore amazing symmetry in nature. Googol is actually a number which is 1 followed by 100 zeroes, and so is googolplex which is 1 followed by a googol zeroes. R is for Rhombicosidodecahedron and this is a real word and a mouthful too. It is a special kind of Polyhedron. Little bees are not just busy, they are super intelligent too as they work to get the most space to store honey for the least amount of wax that they have to spend to build their honeycombs and so they use hexagons as the tessellate (when shapes cover a surface with no gaps in between, the shapes are tessellate) polygons to build their honeycombs. So you see, it does pay to be good at math - even if you are a bee!! Talking about units, in Egypt about 5000 years ago, the distance from the pharaoh's elbow to the tip of his middle finger became the first standard unit of length. It was given the name Royal Cubit. Just imagine taking his elbow all over the place just so everyone could measure papyrus!! No prizes for guessing, what got invented - a measuring stick of course. I have been asked this question by the little ones at home.. When are we ever gonna use this stuff anyway? The answer is - everywhere - at school, at home, at play, and at work. Don't you check the quantity and quality and the units used to measure what you’re buying. Living in this world who can avoid conducting transactions without dealing with money? Designers of modern computers have weaved a whole new world around binary numbers because computers 'think' in binary. The computer understands only two digits - 0 and 1, and it is happy working with just these two digits to get amazing things done for us. It is strange but the world of unknowns in Math which is also called algebra assigns names to unknowns and X can boast of being the most common and famous personality here whose identity changes with every equation and who revels in a new identity every single instance. 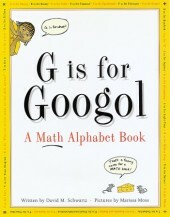 G is for Googol' would entice every reader to dig further and no matter how much you try, in no time this book would turn you into an ardent fan (if you already are not) of this wonderful subject which holds keys to solve many other queries that crop up in the minds. From light year to exponents explaining very big and very small numbers, from mobius strip to Fibonacci numbers, delightful information is tastefully packed which kids and even adults would love to explore. The fact that math is in every aspect of life would not go unappreciated when the concepts are found getting practically executed and validated in day to day life. A convincing presentation of the fact that math is all pervasive.Its time to kiss the Math phobia goodbye with this alphabet book. Love the fact that every alphabet will open the door to a new treasure of Maths, providing an opportunity to learn and understand that concept better ! Lovely pick Vibha. alphabet book based on maths. sounds like a great idea. great pick vibha. would love to get my hands on it. Sounds drool-worthy Vibs. Sigh, so many books I want..
Or maybe, we can make our own book of A-Z alphabet based on Math!